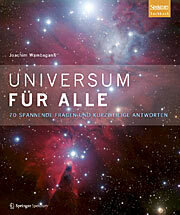 Springer Spektrum has just published a compilation of astronomical lectures featuring many images provided by ESO and ESA/Hubble. 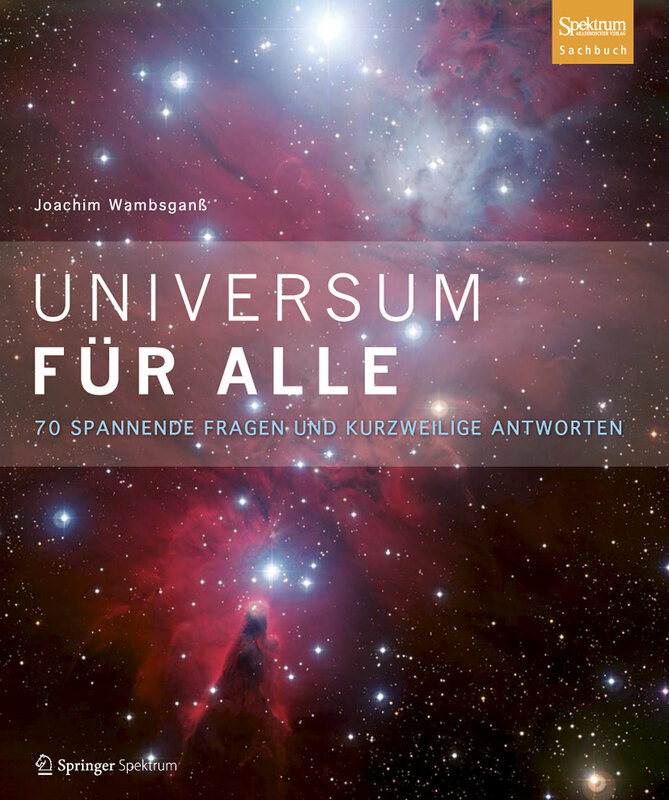 The book, entitled Universum für Alle: 70 spannende Fragen und kurzweilige Antworten (The Universe for Everyone: 70 exciting questions and entertaining answers), was compiled by Joachim Wambsganß, Director of Heidelberg University’s Zentrum für Astronomie. Among the forty or so contributors are Markus Pössel and Carolin Liefke, representatives of the German branch of ESO’s Science Outreach Network (ESON). ESON is a network of people in the ESO Member States and other countries who serve as local contacts for the media in connection with ESO developments, press releases, and other material. Many of the lectures are accompanied by a variety of beautiful ESO images — some taken by ESO’s telescopes, and some of ESO’s observing sites. One of the pictures is ESO’s image of the Thor’s Helmet Nebula. This striking nebula was imaged by the Very Large Telescope (VLT) as a part of ESO’s 50th Anniversary Celebrations on 5 October 2012, with the help of Brigitte Bailleul — winner of the Tweet Your Way to the VLT! competition (eso1238a). The front cover is the equally stunning ESO image of NGC 2264 — the Christmas Tree star cluster (eso0848a). The 70 original lectures were all recorded live and are available online. At the end of each book chapter, there is a link (QR code and URL) to the corresponding video. The astronomical lectures and the videos as well as the book are sponsored by the Klaus Tschira Foundation, a non-profit organisation set up by physicist Klaus Tschira in 1995 that aims to support projects in natural and computer sciences, and mathematics. This foundation is based in Heidelberg, Germany.